Getting the Reformation Wrong is a lucid and well-written work, one that everyone with an interest in early Protestant history ought to read. It’s literally flawless. Okay, that was an overstatement. But Jim’s book is very good and, in my view, achieves well what he set out to accomplish. 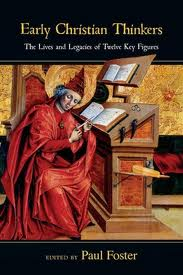 As the title suggests, Getting the Reformation Wrong is a corrective, and as such it does not survey the broad sweep of Reformation history so much as retell select portions of it. The book is not intended to replace overviews like Owen Chadwick’s The Reformation, in other words. 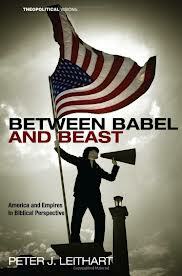 Instead, it drills down into areas of common misunderstanding and, undergirded by recent scholarship, unearths a picture that’s messier and less simplistic than popular historiography about Protestant triumph over Catholic corruption would suggest. That’s not to say that Jim is polemic throughout the book. His tone is calm and—in the vein of his subtitle, “Correcting Some Misunderstandings”—somewhat understated. He’s in command of his material, but he doesn’t bash the reader with it. If he has an axe to grind, it isn’t with younger Reformed enthusiasts (as I feared when I first saw the book’s title) but with poor history. In place of these misconceptions, Jim sketches a Catholic church longing for change and revitalization before, during, and after the Reformation, a vast and diverse church incorporating both virtue and venality. The Reformers as a group were prone to disagreement and had no idea where they would end up, theologically or ecclesially, when they began their remonstrations. Sola fide and sola scriptura eroded over time, to the point where Martin Luther wouldn’t recognize much of what is proclaimed under their banners today. Some Baptists have little in common with Anabaptists apart from adult baptism, the counter-Reformation was a vital revivification movement in its own right, and so on. Myth-holders have little ground left to stand on by the time Jim is finished. The strength of Getting the Reformation Wrong is Jim’s accessibility; he makes his points with the ease and graceful prose of someone who knows his material inside and out. However, my one complaint with the book is that most of the misconceptions he overturns simply aren’t taught in college or seminary classes, nor are they common in good histories. They may be popular-level misunderstandings, but as noted earlier, this book isn’t meant to be a primary text on the Reformation. No one who has read a good introductory text holds to these misconceptions any longer, so who exactly is Jim’s book for? I wonder if the type of volume he’s written accidentally misses those readers he most wanted to persuade. 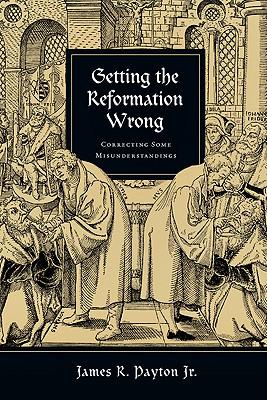 Nonetheless, Getting the Reformation Wrong is both expert and readable, and Jim is a deft guide through some of the complex currents and theologizing of the Reformation. I highly recommend this book. — Reviewed by Madison Trammel. Madison is a digital acquisitions editor at Zondervan.